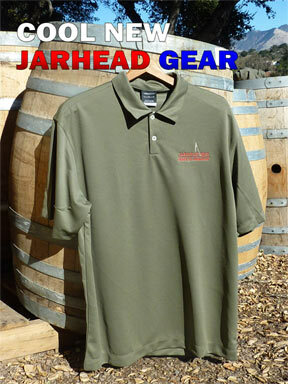 We are pleased to announce that we have released new Jarhead Wine Company gear for 2012, enabling you to declare your membership in the Jarhead Nation! Among the new items are a Nike Dri-Fit pebbled polo (pictured here), a Jarhead Red logo cap, a Jarhead Red wood wine storage and presentation box, and Jarhead logo wine glasses made from German lead-free glass by Stolzle Weinland. Check out our merchandise section for more information and ordering. Semper fi! 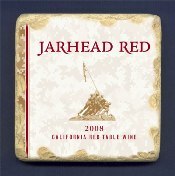 Just in time for the holiday season, we are now stocking new tumbled marble coasters depicting the labels of Jarhead Red and Jarhead Reserve. These coasters are perfect for supporting a glass of your favorite wine (hint, hint) or, ahem, beer.